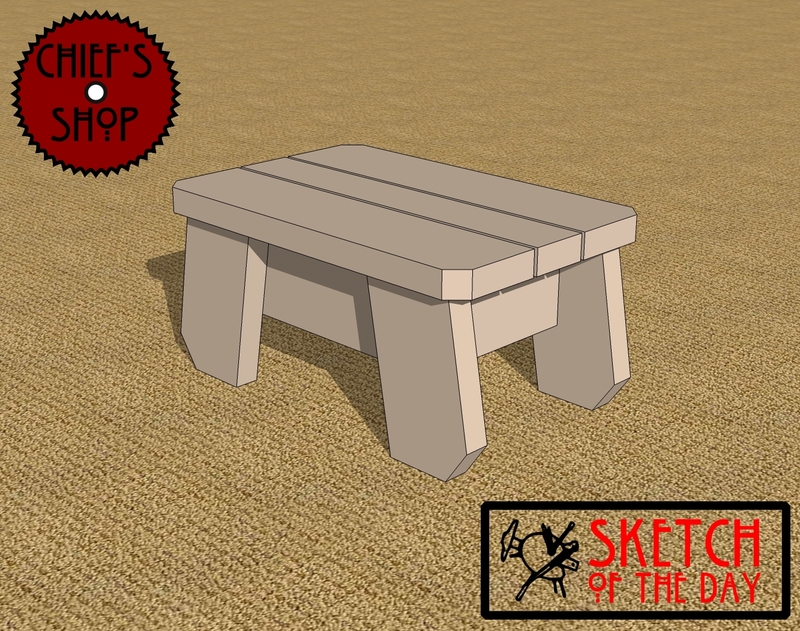 A small stool design concept. You’ll need a miter saw, drill driver, and Kreg Jig to build it. 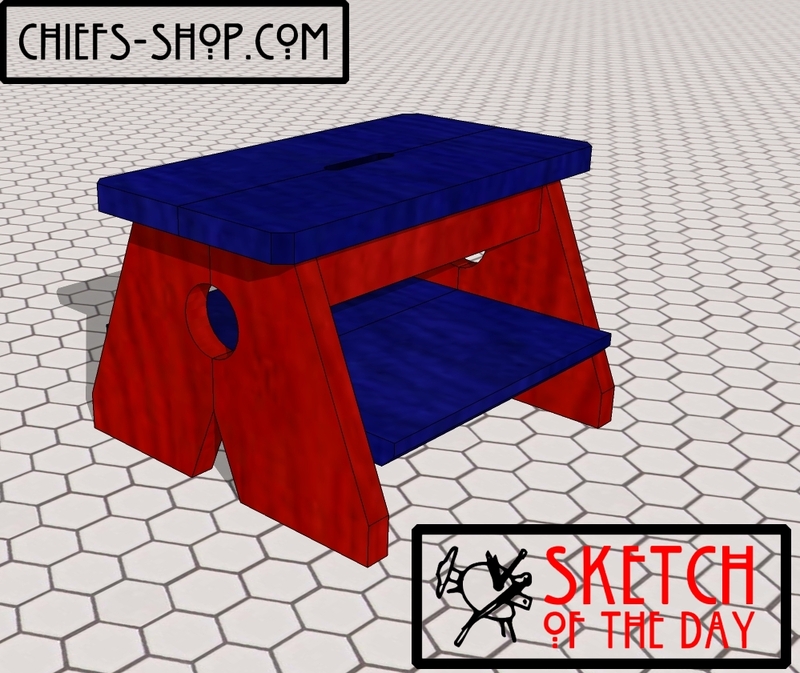 A nice wide stool concept to use in the kitchen. 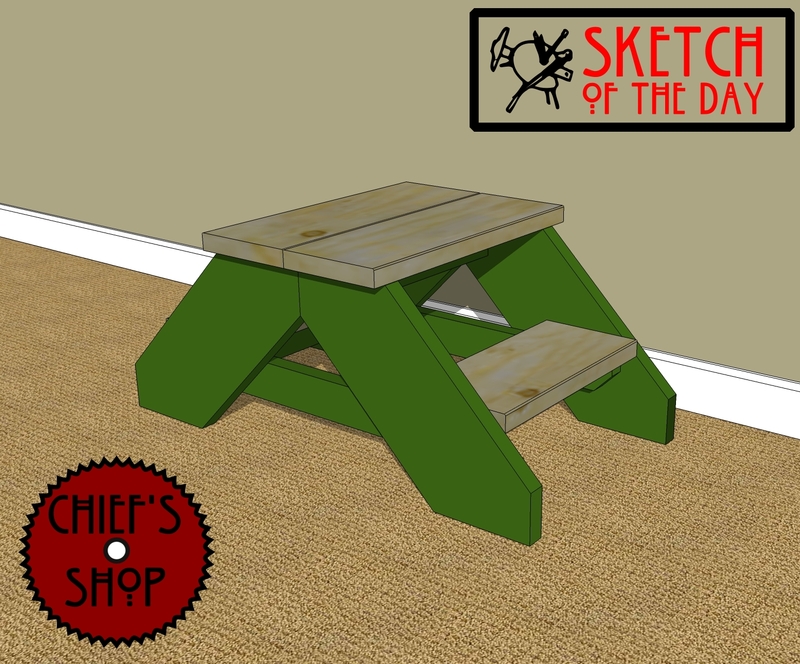 It would work well as a platform for a recyclables bin in addition to duties as a stool. A cute little stool that could also be used as a décor item or plant stand. My wife’s painting efforts inspired me to create this stool. It’s wide with a low center of gravity and is just tall enough to allow someone to reach the top of a wall in a room with 8-foot ceilings. You could also place supplies on the top or the steps when not in use. School is starting soon (or already has in some areas), so I’m drafting up some project concepts for after-school needs. 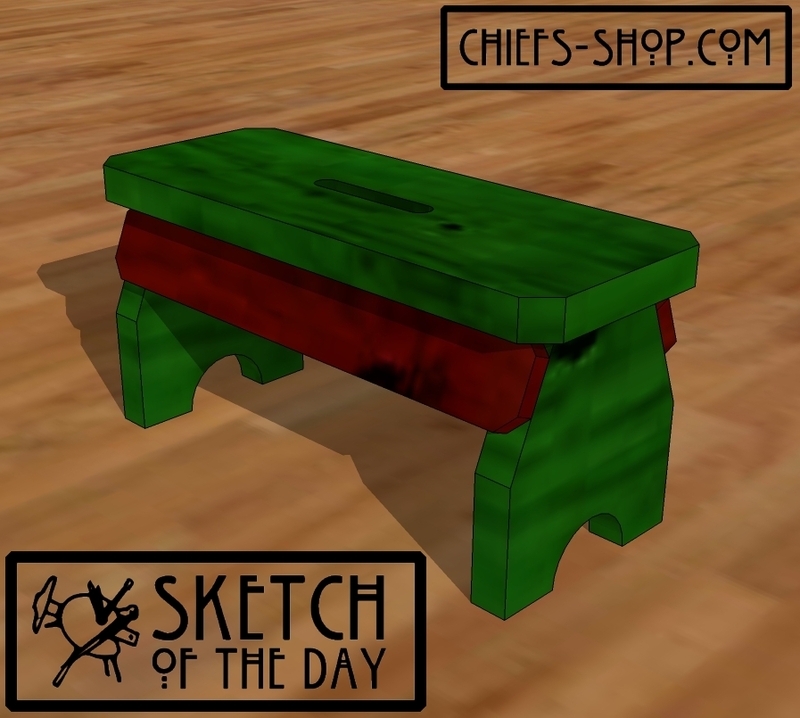 I thought this stool would work in an entryway, foyer, or mudroom. Be sure to like Chief’s Shop on Facebook! At 750 likes someone will be selected to receive a custom woodworking plan of their choosing. 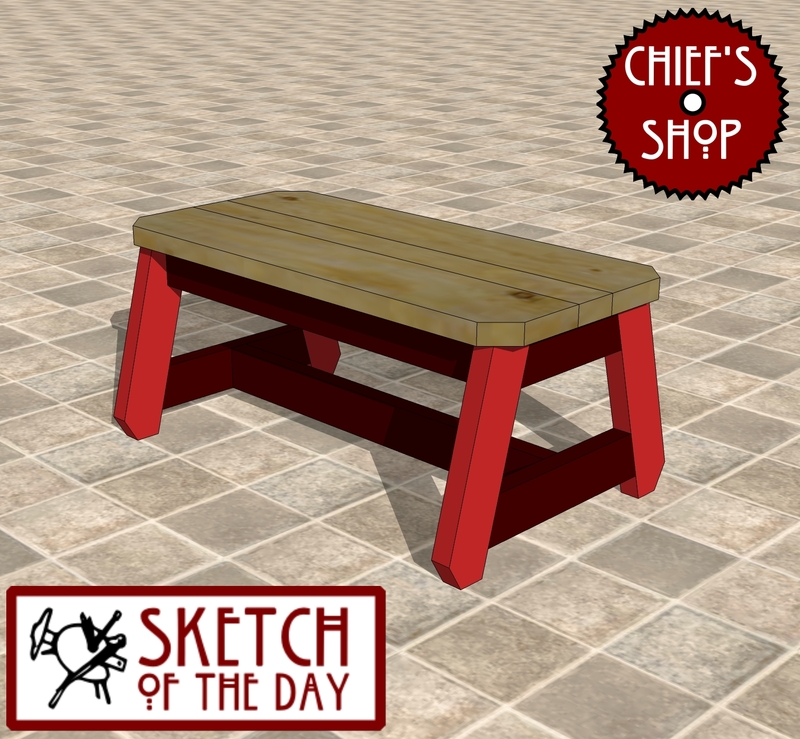 The person who recommends Chief’s Shop to the winner gets the choice of a Lowe’s, Home Depot, or Woodcraft gift card, so recommend to a friend today! 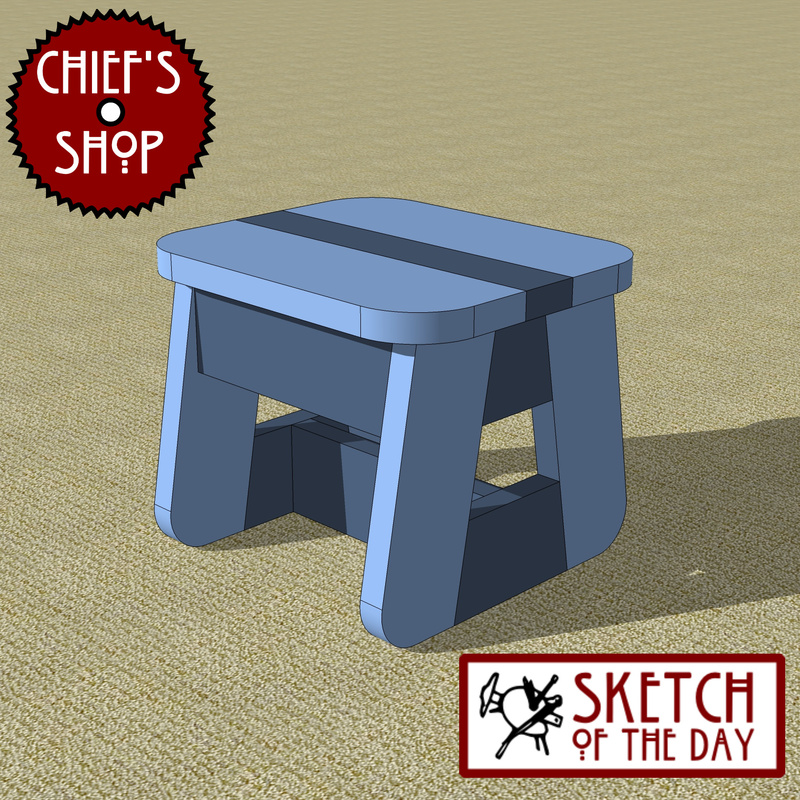 This utility stool incorporates a few design elements you wouldn’t necessarily see on such an “ordinary” piece.